Irritable bowel syndrome is one of the most common stomach disorders plaguing the American population with 25 to 45 million people affected at any given day in the United States. These astronomical numbers, as horrific as they are, don’t even begin to cover the additional amount of people who suffer from acid reflux, embarrassing gas, bloating, leaky gut and other gastrointestinal ailments that are constantly disrupting millions of people’s daily lives. These frustrating and debilitating maladies more often than not are the result of an overworked digestive tract that’s crying out for help. The good news is we know how to provide that helpful boost to shoulder the overworked and overloaded digestive system. You see, today’s modern preservative-laden diet is completely devoid of any digestive enzymes. These enzymes are special proteins that act on specific molecules to break down food into easier-to-absorb pieces. Digestive enzymes are absolutely crucial to the proper absorption of food. So when you don’t give them to your body, your body has to go into hyper drive, resulting in discomfort, pain and other ailments. You know that bloated or gassy feeling whenever you finish a large meal? That’s your body telling you it needs desperately needs enzymes to help break down that Big Mac from lunch. This is also why you feel sleepy after chowing down on a feast, because your body is too busy breaking down nutrients that technically should’ve already been broken down with the active agents in your diet. Unfortunately, your diet isn’t holding up its end of the bargain, at no fault of yours, but that does leave it up to you to make sure it does. So now you know the root of your stomach problems, it’s time to learn how to solve them. The digestive enzymes lacking in your modern day meals are easily accessible through various supplements, which in turn, give you the boost you need to keep your digestive system happy. The hard part is discerning which supplements will work the best for you since everyone is different and one man’s bowel problem is another man’s milkshake. With a flood of similar looking supplements floating around the market (and all promising the same thing) it’s imperative to choose the best product so you can enjoy all of the amazing benefits of a healthy enzyme-rich diet. It’s also important to note that there are three main types of digestive enzymes all of which are crucial in aiding your body absorb nutrients. These three enzymes are: proteases which break down proteins, lipases that tackle fat molecules, and amylases which handle the carbohydrates. When choosing a supplement brand, it is important to check the label and make sure that all three are included in the ingredients. There are many different types of enzymes, these are however, the main three that show results fast. Sometimes companies will pack in other nutrients that have proven to help cleanse your system in addition to the enzymes. And while some of these “add-on” ingredients prove beneficial, some can also cause allergic reactions or other negative results, making the process of choosing the best digestive enzyme supplements even trickier. We know that the bottle-packed shelves and confusing names glaring at you in the grocery store can be daunting. Plus, with so much information being thrown at you, how are you supposed to know which supplement to purchase? Well, we investigated 83 of the best-selling products from every corner of the web taking into account effectiveness, cost, company history and other important criteria. Out of all of those products we researched, 4 brands unquestionably stood out. Those 4 top-rated supplements are listed below with every piece of information you need to make an informed decision about which one to purchase. This is hands down the #1 pick that blew every other brand out of the water. ACTZYM is the real deal when it comes to digestive enzyme supplements and features the most impressive formula. Using only fresh ingredients from trusted sources, each capsule is loaded with a blend of 18 enzymes working together to help your body absorb all types of foods (even greasy ones). 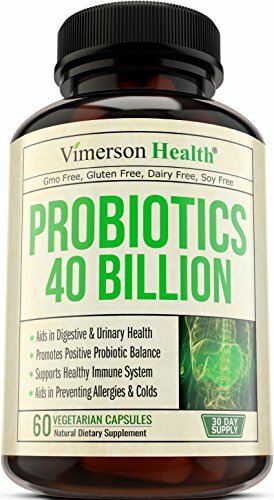 It’s manufactured by the Digestive Center, one of the most trusted names in the industry who has historically been at the forefront of revolutionary nutritional breakthroughs. On top of that, ACTZYM comes with a 90 Day Money Back Guarantee that just shows how confident the seller is in their product. Customers were shell-shocked at how fast and effectively this supplement went to work healing their indigestion and some even stopped taking OTC meds for acid reflux and heartburn after using ACTZYM. Actzym was scientifically formulated to ease your digestion and optimize your nutrient absorption. By replenishing your digestive system in essential enzymes, you may break down food more easily and break free such issues as bloating, abdominal cramps, diarrhea … With one simple step, take control of your digestive health. Plant-based and gluten free, worked especially well for those customers sensitive to dairy or suffering from a gluten intolerance, a must have for IBS sufferers! Taking the number two spot is Zenwise. This product contains a blend of enzymes and nutrients that was nowhere near as effective as ACTZYM, but the solid lineup of ingredients did show improvement on customers’ overall well-being. Manufactured by a group of nutritionists who promote a healthy lifestyle, this product’s enzyme formula was unfortunately overshadowed by a group of all-natural ingredients like: green apple, fennel, peppermint, ginger and others. These noteworthy nutrients are a great addition for a vitamin, but when it comes to digestion, it’s better to let enzymes do the heavy lifting. Despite the plant-based ingredient list, this product must be taken with food or drink to ensure successful delivery to the intestine. The prebiotics and probiotics were a great touch and although many reviews complained about stomach discomfort, the added bacteria proved to create a wholesome environment for beneficial flora. The number three slot goes Vimerson Health. While this product is undoubtedly helpful for some customers, it requires to be taken exactly 30 minutes before lunch and exactly 30 minutes before dinner. This strict schedule proved hard to maintain for numerous reviewers and because of this Vimerson Health receives the lower 3rd rating on our list. Some of the ingredients were also fungal-based, which caused some irritation among certain shoppers. 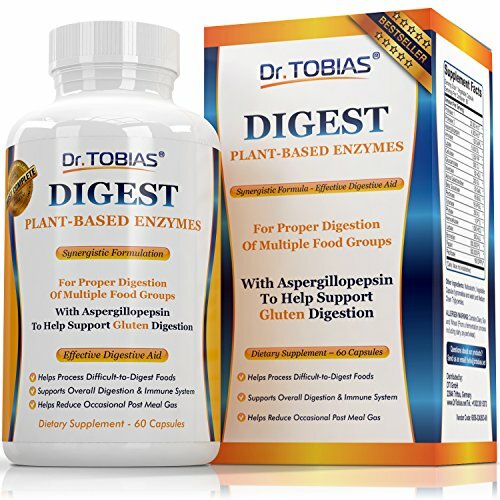 Dr. Tobias comes in the final fourth place on our list of top digestive enzymes. We were hesitant to place this product on our list despite its popularity for several reasons. For starters, it contains soy, wheat, and dairy which completely eliminates any hope for lactose intolerant shoppers. Second, this was not a potent formula and many reviewers had to go beyond the recommended dosage to see results. Lastly, this product contains maltodextrin, which is a preservative that has been involved in a lot of controversy over the years. This additive essentially is a fake sugar with the main drawbacks being weight gain and higher cholesterol. Dr. Tobias Plant-Based Enzymes did have great results, but this dangerous ingredient lowered it to our last place due to the hazardous risks. These three products made our list due to the immense of amount of buyer satisfaction and the high volume of customers with happy stomachs excited to share the success of their newfound health. While in no way is this list meant to be exhaustive, it is meant to guide you in the right direction. Hopefully you too can start the journey towards a digestive system that works for you, instead of the other way around. 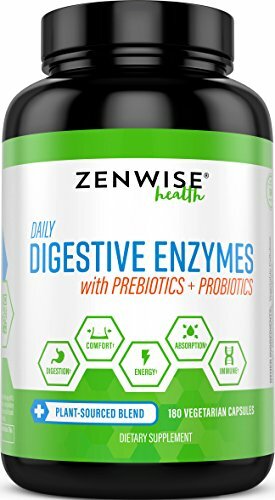 Please provide the best LIQUID digestive enzymes. I can’t take pills.